2 images. 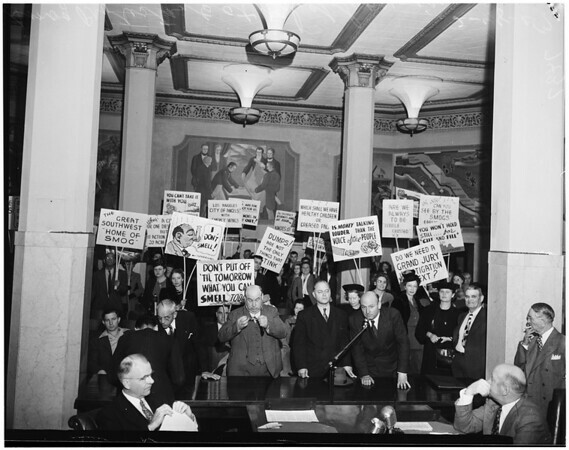 Smog protestants, 17 February 1947. Protestants at Board of Supervisors with plackards [sp]. (Sleeve reads: 9593 was 7437).